Our volunteering or internship program offers cultural living in the Panecillo Kichwa community. It allows participants to truly engage with our families, as another son or daughter in the daily household activities. All projects are organized by the parents of visitors’ households, according to current self-identified needs in our community. Daily work may include a variety of combined activities, flexibly planned according to the interests of each volunteer. Visitors have the chance to support their new families, while at once benefiting from all that they learn sharing life with our community. All volunteers and interns stay with indigenous Kichwa host families, in our typical homes within the community. They will have the opportunity to get to know our customs, traditions, natural medicine, traditional gastronomy, Kichwa language, agriculture, Andean cosmovision, games, and much more. 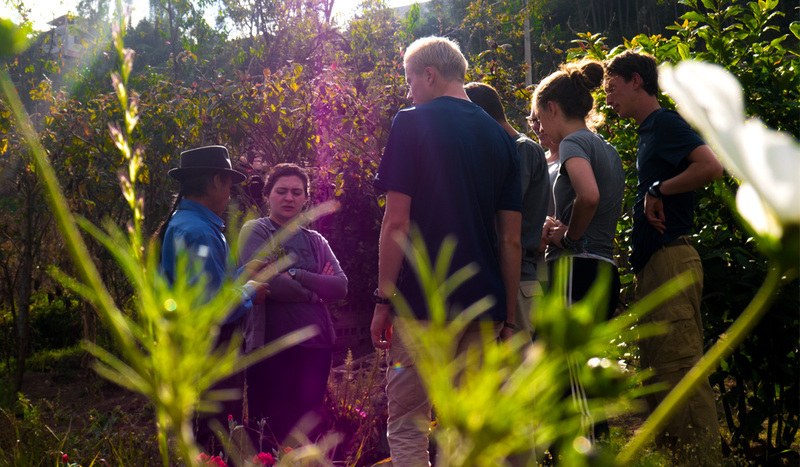 We offer this experience with the goal that each volunteer will take away the best memories of our Kichwa Otavalo culture.